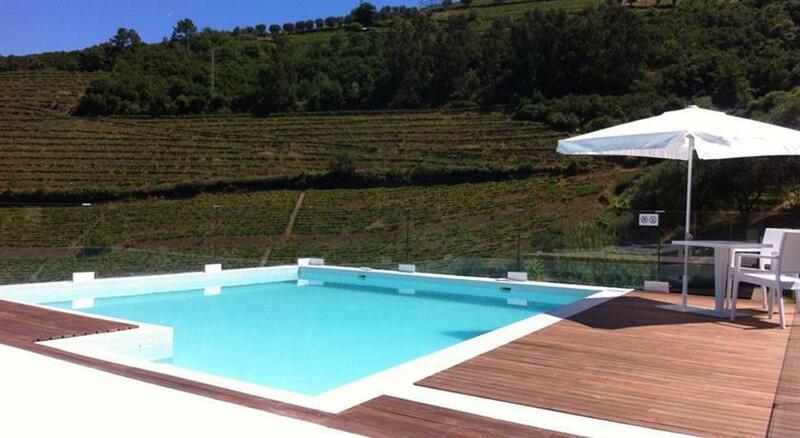 The Casaldronho Farm, is located in the heart of the Douro regon, in the municipality of Lamego about 350m above sea level, provides a magnificent view over the river and the valley of Peso da Régua. This is a property with an area of 24 hectares with 15 hectares of vines. With a current production of about 100 barrels of which 30 destined for Port wine production. This farm preserves a grove, from which makes olive oil production, orchards, walking trails, springs and water tanks that together bring tremendous value to this scenic area. The Casaldronho Farm date of the first phase in the demarcation of the region for Port wine production. It was owned by Egas Moniz, tutor of the first king of Portugal, D. Afonso Henriques, was subsequently owned by D. Sofia. In the year 1885, Alódio Teixeira Santos acquired this property which remains in the family for four generations. Certain is that Casaldronho offers us a fascinating visual treasure, a unique geographic environment, full of serenity and peace, of happiness wrapped in rings that build on each activity is undertaken. Come discover Casaldronho, and get involved in the wine activities, reveling in the gastronomic secrets of the region and with the quality and comfort that our Wine Hotel offers, always based in excellence and quality service. Special offer for you that are sure!